Moulsecoomb and Bevendean ward is a large suburb in the North East of Brighton. Set amongst the edges of the South Downs, both Wild Park and Stanmer Park are in easy reach and pockets of protected woodland and grassed commons can be found throughout the estates. Much of it is social housing; 37%; with 26% being council housing. This means many residents have a close working relationship with the council through tenants and resident groups. There is less transience than in more urban parts of the city, with several generations of families living here; creating many informal networks and sense of belonging. You will still see children playing on the streets here and large families coming to local events such as the local primary school fun day. Due to this mix of large families, often with lower incomes, local facilities like parks and centres are highly valued and many are supported or run by community volunteers. They even have a community run cooperative pub; The Bevy. The current challenge facing these communities is the changing demography due to growth of student population and with it the high volume of houses of multiple occupancy (HMOs) replacing family homes, in many cases making it unaffordable for the next generation of young families to stay here. 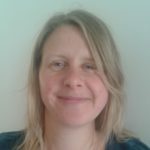 Anke Thurm is the Community Development Worker for Moulsecoomb, Bevendean and Bates Estate and is based at St Georges Hall, Newick Road. You can contact her on [email protected] or by telephone 07449464695. TDC have been working in the heart of Moulsecoomb and Bevendean since 2010 - working together with the community to help local people identify challenges and supporting them to find solutions. We work with over 30 organisations ranging from small community run groups to services like schools and library. We offer informal training and advice to community activists and volunteers; supporting them to establish independent groups and fundraise to meet their self-identified needs. Current work includes the very popular Healthy Neighbourhood Fund, administered by local residents 'organisations to locally run groups which provide accessible and affordable healthy activity. Examples of such groups are foodbanks & healthy eating projects, dance, running and yoga groups, and activities which get young people out into the beautiful Downland around them, learning how to use the space for free exercise. In 2018 we have been helping the community and local services develop their shared Action Plan through community consultation events and focus groups: Moulsecoomb & Bevendean NAP. Community calendar including health campaigns and ‘days’ and diverse cultural festivals and events. Better networking of public and community services, especially for adult learning & employment support. Coordinated ‘hub’ or ‘gateway’ to public & community services – No wrong door! Community having greatest possible say over planning decisions around developments and spend of planning gains, through a designated neighbourhood forum and plan. "My favourite thing about Moulsecoomb & Bevendean is seeing friendly faces every day and how passionate residents are about their spaces and neighbourhood!" "I couldn’t pull off a trip like this without TDC. I would never have thought of something this big." Mish, Member of the Moulsecoomb Bangladeshi Women's Group. "I am feeling so much happier since I come out and meet people at the coffee morning on Mondays." "I love Moulsecoomb Woods, because it is right here and links us to the South Downs. I think people should be aware, enjoy and take care of the beautiful green spaces that are on their door step here in Moulsecoomb." "We couldn’t have saved our play park without TDC and it’s the only one we have in Bevendean so thank you." Chair of Friends of Farm Green Park. "When the Bridge closed, it was important to me as a volunteer to keep the Job Club alive. 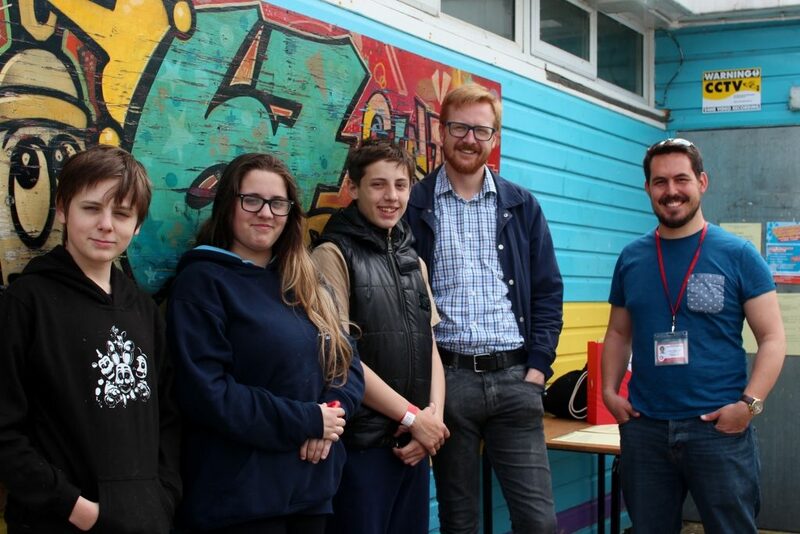 Moulsecoomb Library is the right place for it now, because it offers a lot more information about services in the area and goes beyond us helping people back into employment or find alternative routes." "It has taken me more than a year to get to know all community groups and active residents in the Moulsecoomb and Bevendean area and there are more community-minded people to meet all the time. I can say with certainty that the sense of community is alive and kicking here." TDC supported an event at Brighton's Community Pub, The Bevy, for the Brighton & Hove Older People's Festival. The 50+ ‘Bridge the Gap’ lunch club celebrated Older People’s Day with a pizza making session. Support was provided by Community Oven, a Community Interest Company which helps make events and projects socially inclusive by bringing people together through healthy, fresh and well cooked food. Read more. 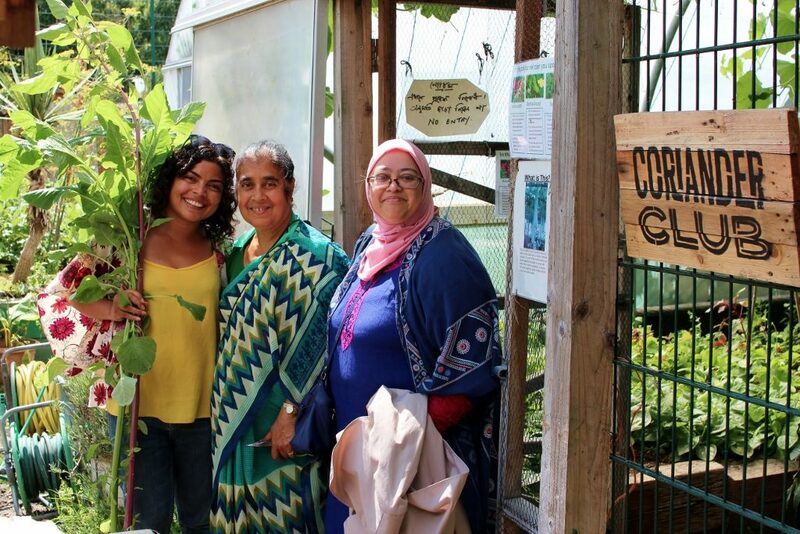 TDC helped a local group of Bangladeshi Women to secure funding from East Brighton Trust to pay for an educational and intergenerational trip to the Coriander Club at Spitalfields City Farm in London. Many of the women already grow or would like to start growing their own food so the aim of the trip was to learn more about cultivating specific native Bangladeshi vegetables and explore the feasibility of the group to start a food growing project on a joint allotment in Moulsecoomb in the future. Read more. TDC has worked with this group for many years. The group came about because there was a number of Bangladeshi women in the Moulsecoomb area who were not accessing services due to various barriers or because they were unaware of the services available to them. Many of the women in the group are often isolated at home with little contact from neighbours or other groups and some challenges in working with this group have been cultural differences around money, gender and social skills and language. TDC are proud to play a significant role in supporting them. The Friends of Farm Green is a group for those interested in helping to improve Farm Green Park in Bevendean. Mostly made up of mums with young children, they have campaigned for repairs and improvements to the local park. They have been very pro-active – setting up a petition for local residents to register their support, setting up meetings with park representatives from the council and creating an online facebook page to keep people informed of progress. Our TDC Community Development Worker initially supported them to constitute and to consult locally on what people wanted from their park and more recently we have helped them raise over £65k from Veolia and other small funders to pay for improvements. MLAT (Moulsecoomb Local Action Team) and TDC support community groups based in East, North and South Moulsecoomb, Higher Bevendean and Bates Estate to access the Healthy Neighbourhood Fund to run and promote healthy activities in the area. Groups eligible to apply are those running projects with outcomes such as improving diet and nutrition, encouraging active living, mental health & wellbeing, activities that support healthy ageing, projects that raise awareness around alcohol, tobacco, drugs and sexual health. Groups can apply for up to £300. To find out about future rounds, please contact your local Community Development Worker for more information. 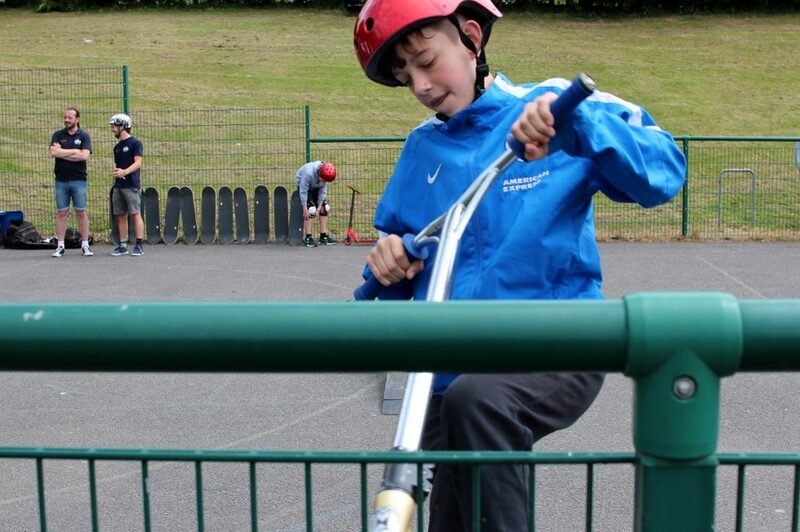 TDC is supporting residents to make a Skatepark in Moulsecoomb reality for children & young people in the neighbourhood. After a summer of consultation exercises, it is time to take the next steps. Join the campaign on facebook. The newly established Multicultural group in Moulsecoomb is planning their activities for the year. After a trip to the Moulsecoomb Library and finalising their constitution earlier this year, the groups wants to discover more of Moulsecoomb & beyond and link in to local and city-wide services. St George’s Hall was funded by East Brighton Trust to plan and run community activities for the whole community. St George’s Community Day in June was the beginning and a lot of fun for the whole neighbourhood this year.